Controlling termites is now within the capabilities of homeowners. Termite exterminator extraordinaire, Bill Flick, founder of the famous Australia-wide pest control company was probably the first person to successfully kill termite colonies. Before his breakthrough in 1915, if termites found your house, termite controls were unlikely to be effective. At that time, if they began eating your house, you didn’t tell anyone at all — just patched it, painted it and sold it, hoping you didn’t buy another house that was patched and painted. Bill and all the pest management people who followed him have kept the process and chemicals to themselves and away from homeowners. They used arsenic and other toxic chemicals which government registration authorities deemed too dangerous in the hands of untrained homeowners. Australians with a do-it-yourself attitude were unable to participate when it came to termite control. Poisons to kill our rats, cockroaches, bugs, fleas, lice, ants, aphids, caterpillars, spiders and virtually all other pests have been available for decades — but nothing for termites. An insect growth regulator (IGR), almost foolproof at killing subterranean termites has been in use for more than a decade — at absolutely no hazard to humans, pets or wildlife! Yet still the labels restricted use of this safe chemical to the professionals. Ion Staunton, a termite textbook writer, former Secretary of the national pest managers association and businessman, changed all that! When asked by a friend how he could do something about the termites marauding around his backyard, Ion decided he could make something to entice termites into a place where they could be baited using this new IGR. The termite workers would take it back to kill off the colony. After a couple of attempts he really simplified a monitor to be placed outside in the garden that would hold large numbers of termites and, using their natural and basic instincts against them, “force” them to reveal their arrival by designing a hole in the top of the cardboard enticement. The termite instinct for security would mean they would fill this hole with their normal ‘mud’ mixture and the clear cap would allow a passing homeowner to notice the blocked hole. So simple, so low in cost, so effective. “Eureka!” — it was the moment Ion realised every owner of a free-standing house in Australia was a potential customer. He patented the window/hole combination and then set about registering the bait without the label wording restricting its use to professionals. This bait was the first in the world to be offered, without restriction, to any and everyone — including some professionals who buy it because it is packed in convenient feeders. Controlling subterranean termites which do 99% of the damage to homes is now well within the capabilities of homeowners who have a D-I-Y attitude! Information on what homeowners can do to minimise their termite cost at the design and building stage, reducing the attractiveness of their homes and surrounds to termite invasion and the various termite treatment options is available by clicking on these underlined links to appropriate sections of this website. 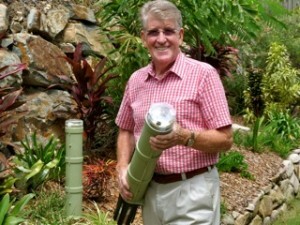 Basically, the most needed items are: monitors or TermiteTraps to intercept termites while they are still outside, some Colony Killer Termite Bait to kill them whether they are found in your traps or found in the timber of your home or other structures and, the advice on how to do it safely and effectively. Lastly and very importantly, your structures should be inspected regularly either by you or a professional. 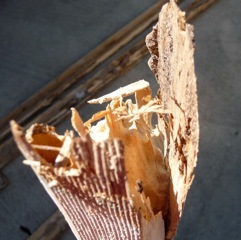 The termites inspections are to find any new infestations before they get to do significant and costly damage — just in case they have already found their way inside.. There is a How-To Guide available as a free download from www.termitetrap.com.au along with commercial information on packs and pricing.